Don’t let pest problems discourage you. H2 Pest Control has many same-day solutions for spiders, mice, voles, ants, wasps, and more. We provide industry-leading pest control services using the latest techniques and the safest products. Our team of certified pest control experts are proud to serve Utah residents with local pest control in South Salt Lake County and Utah County. Some of our other service areas include Lehi, Eagle Mountain, Vineyard, Saratoga Springs, American Fork, Pleasant Grove, Orem, Spanish Fork, and South Jordan. Contact H2 Pest Control today for reliable pest control service from trusted professionals. We look forward to serving you! PROTECTING YOUR PROPERTY FROM PESTS. PROTECTING YOUR FAMILY FROM HARMFUL SUBSTANCES. Ants wandering along kitchen countertops, mice scurrying around the garage, spiders lurking in every corner—finding peace of mind while pests are infesting your home is a constant challenge. But with H2 Pest Control, having a pest-free home is within your grasp. We provide the solutions you need, the very day you need them. You’ll start to see our pest control treatments working within hours after application, and then keep working for months after that. 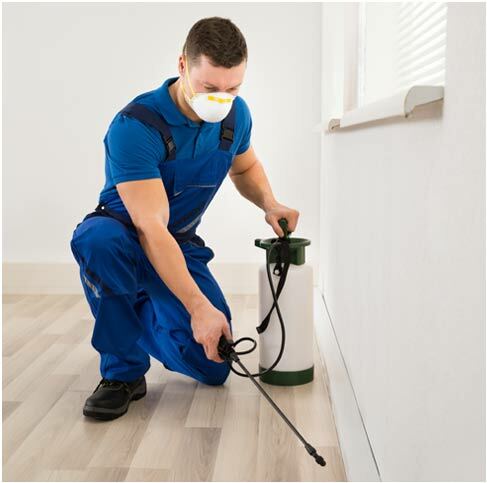 Unlike many other pest control companies, H2 Pest Control only uses treatments and sprays that are free of toxic chemicals. We’re committed to protecting your home from pests, while also protecting you and your loved ones from coming in contact with dangerous pesticides. We care about the environment. All our pest control treatments are safe for your garden, soil, and the surrounding environment. You can be rest assured that your money is well spent. We’ll re-service your property, free of charge, until the issue is under control. No hassles. No odors. No residue, All our applications are absolutely safe for your children and pets. No need to leave the house during treatments. All our technicians have passed rigorous internal and state licensing exams. They are very courteous and knowledgeable.